Sometimes for our best dates, we never leave home. We have been wanting to go to Sobban for a long time, but we hear that there’s nowhere to park and there’s limited seating. 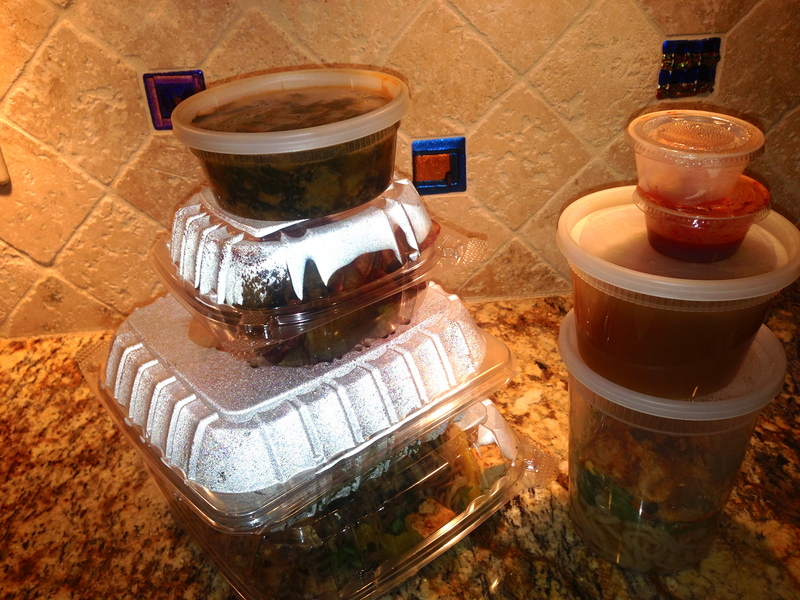 Sobban’s sister restaurant Heirloom BBQ in Smyrna has the same problem, and we always get it to-go (Date Night 6/21/13). When Eve says she will pick up Sobban on her way home from work, an idea for a good date is hatched. Quick, can you tell what Sobban used to be? Those of you who guessed it was an Arby’s win a year’s supply of Rice-a-Roni, the San Francisco treat. Not our picture. A file photo from Getty images. 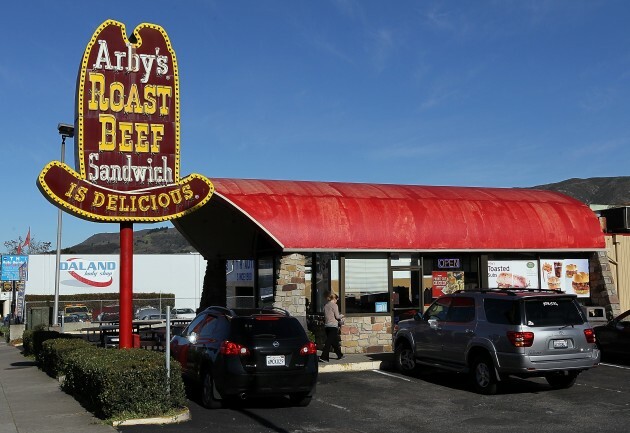 All that’s missing is the giant Arby’s hat sign. 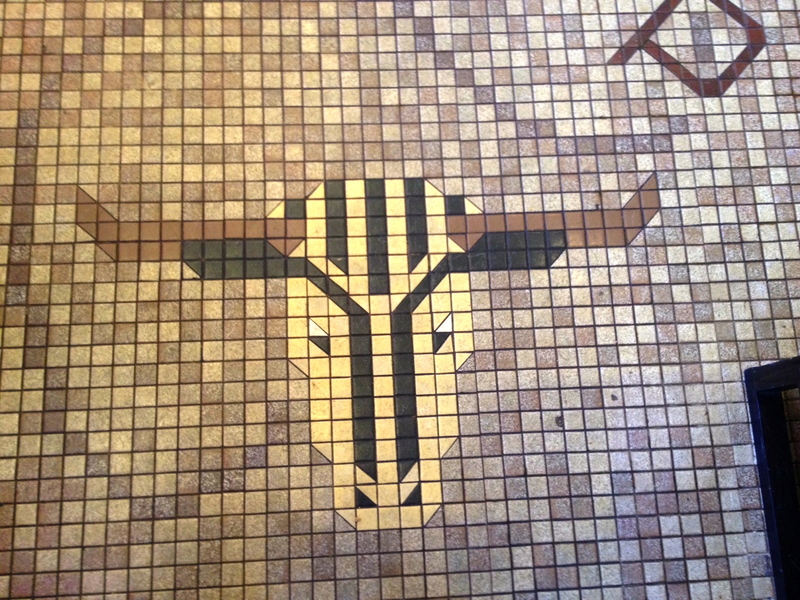 The steers are still in the tile floor. It’s Friday afternoon, and they are crowded. Eve has to circle the parking lot and drive around the block before she can find a space, so her to-go strategy is paying off. 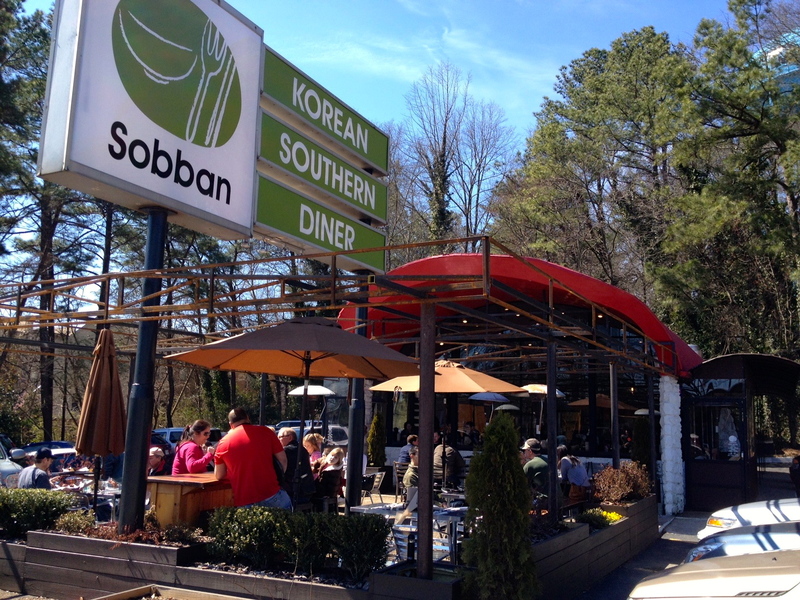 Unlike Heirloom, Sobban has table service. They also have a nice patio, which will be fun in warm weather. Eve resists the urge to take pictures of other people’s food and is back in her car in about twenty-five minutes. Meanwhile, back at Date Night headquarters, we are celebrating the fact that we are on vacation. We dive into the beer fridge for a special brew. 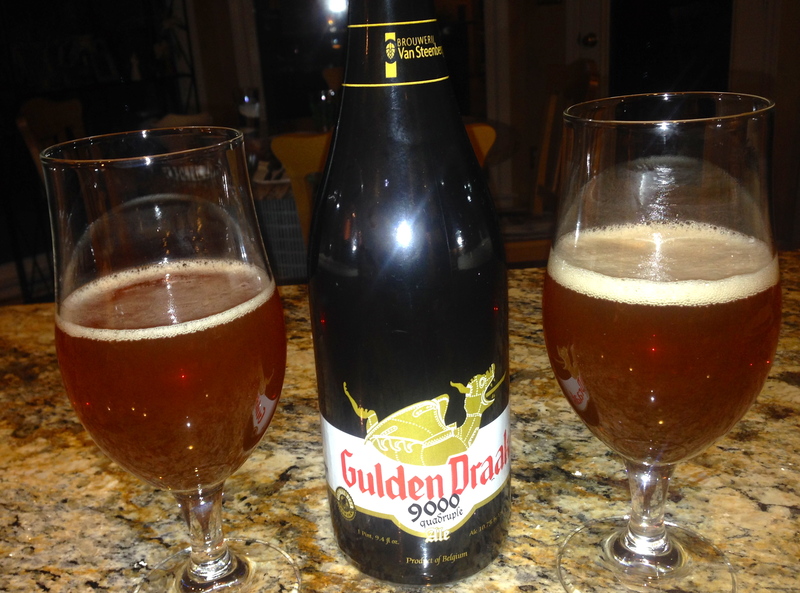 Gulden Draak 9000 is a big Belgian quad with an ABV of 10.75%. The bottle is a gift from friends, who know what we like, and we really like this beer. It will last us all night, but since we are at home, we aren’t driving anywhere. We order a nice sampling from the Sobban menu, a soup, a salad, a main course and two sides, which turns out to be the perfect amount. The chicken kalaguksu is full of noodles and chicken. Eve saw a guy cutting pasta in the prep area, and our guess is that the noodles are house-made. The red spice in the bowl gives the soup quite a kick, and I work up a slight sweat eating this. It’s the spiciest dish we order, but in a good way. This is an excellent soup. 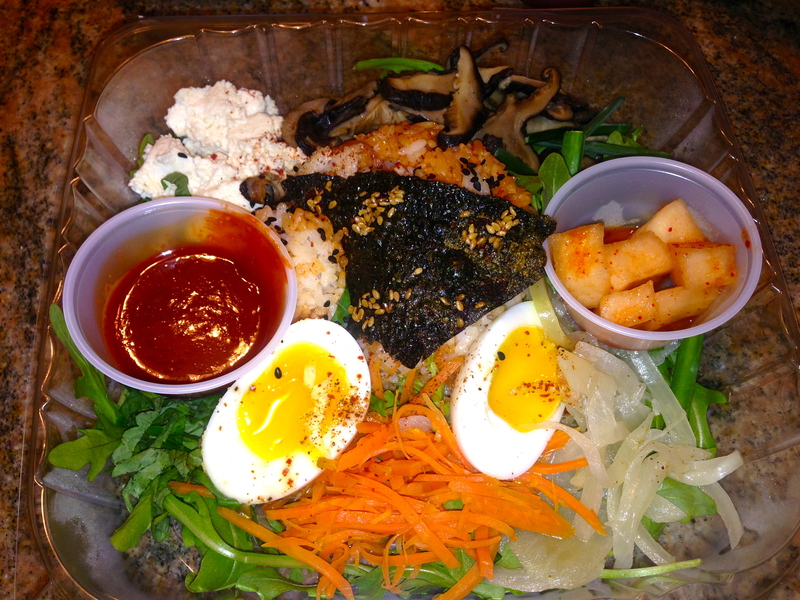 The bibimbap is sort of like a Korean salad. This one has tofu in it with the arugula, rice, and my favorite part, the 7-minute egg. We can not confirm if the egg cooked for the required 7 minutes and we will have to take Sobban’s word for it. It comes with pickled radish and a spicy dressing, which we use sparingly. Our main course also contained tofu. 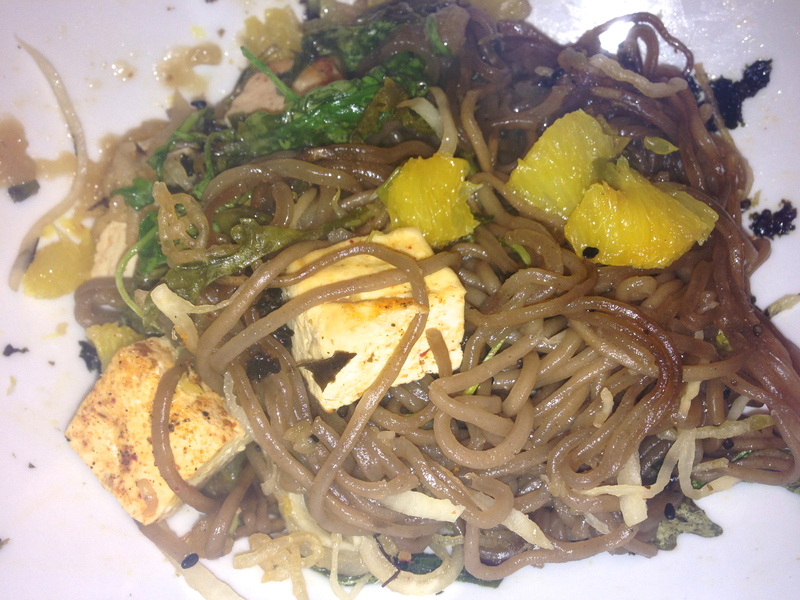 The tofu soba noodles taste very fresh and we suspect they make these noodles too. 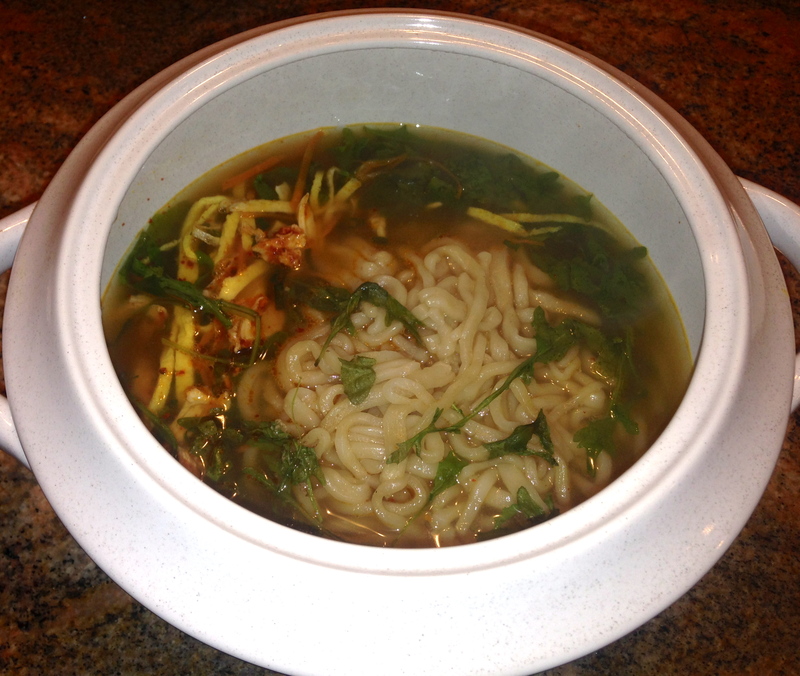 This is my favorite on tonight’s menu, although compared to the kalguksu, it’s pretty tame. Let’s not forget our side dishes. 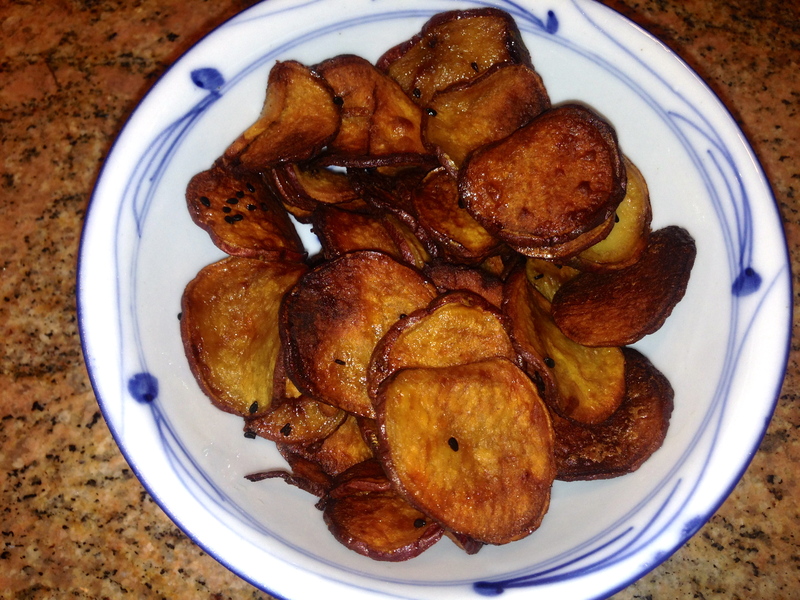 The Korean sweet potato is available at Heirloom as well. These crisped up nicely on a reheat and quickly vanished from the bowl. Our final dish of the night is the miso kale. This is the best kale this reporter has had anywhere. 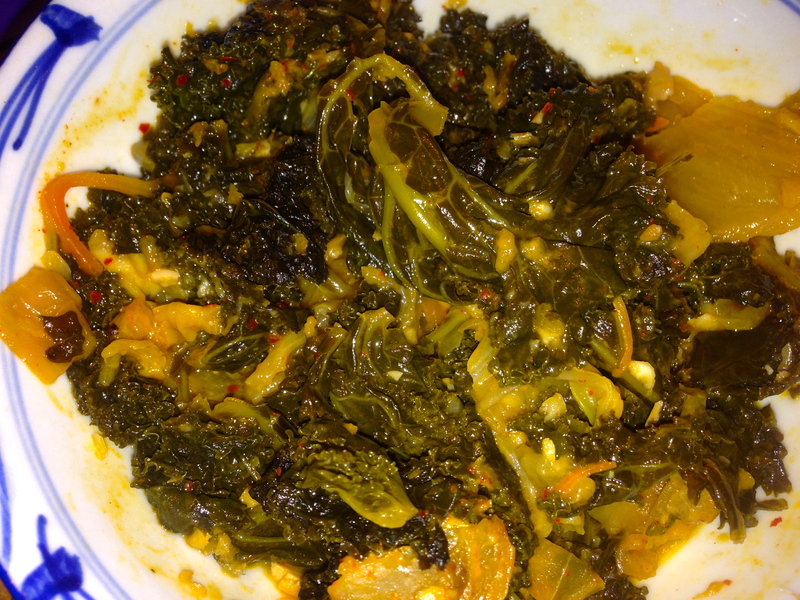 The kimchi in it gives it a peppery kick. The kale itself is still a little crunchy. I wanted a lot more of this when we finished. On second thought, maybe this is the best dish of the night. The bottom line on Sobban: A great date, and we never left home! The food is amazing. Get yours to-go, or, if you are feeling lucky, hope there is table space for you at the restaurant. 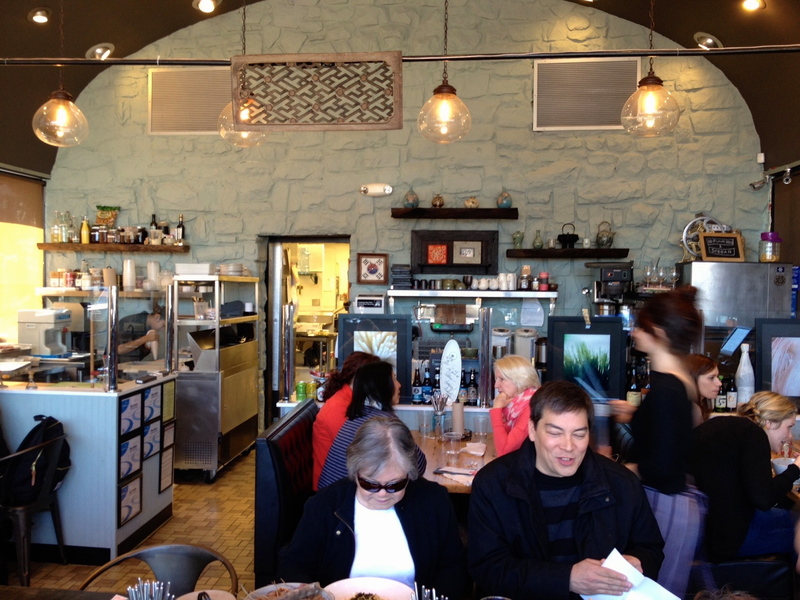 When it warms up, we will definitely eat here again, and we hope to get that opportunity soon. Who wants to double date? 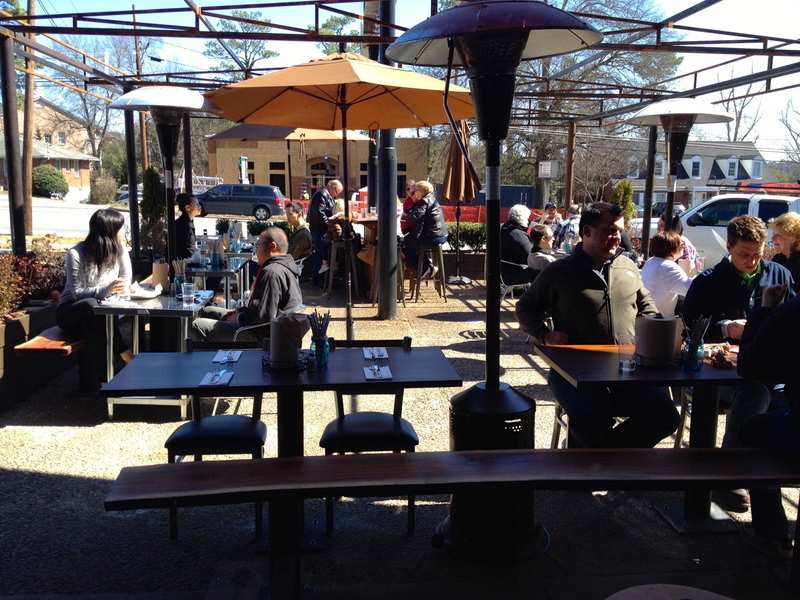 Nice review – we ate there a month or so ago and determined to go back when it is warm enough, but not too hot (that leaves three weekends in April or May) to eat outside.